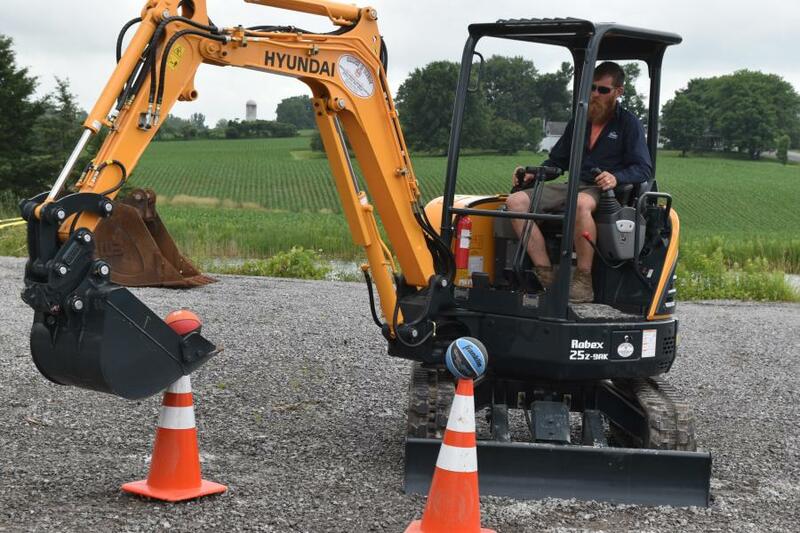 A Hyundai compact excavator was used to test the skills of operators in the small machine category. 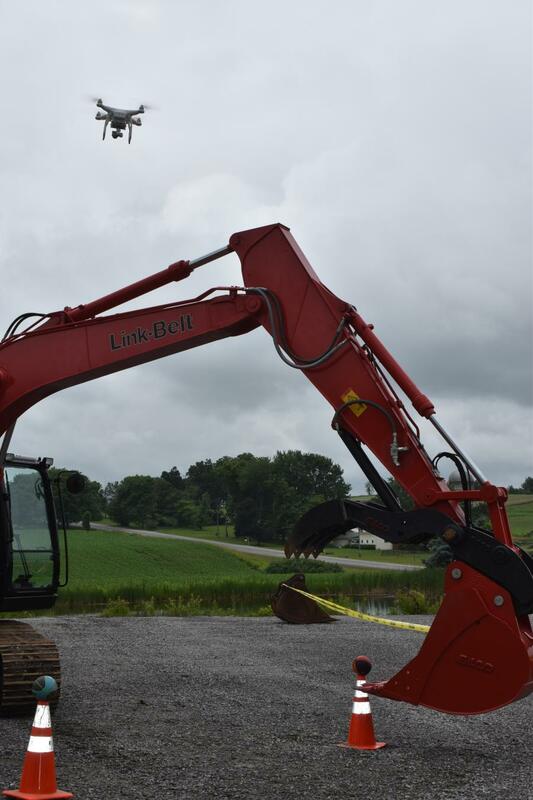 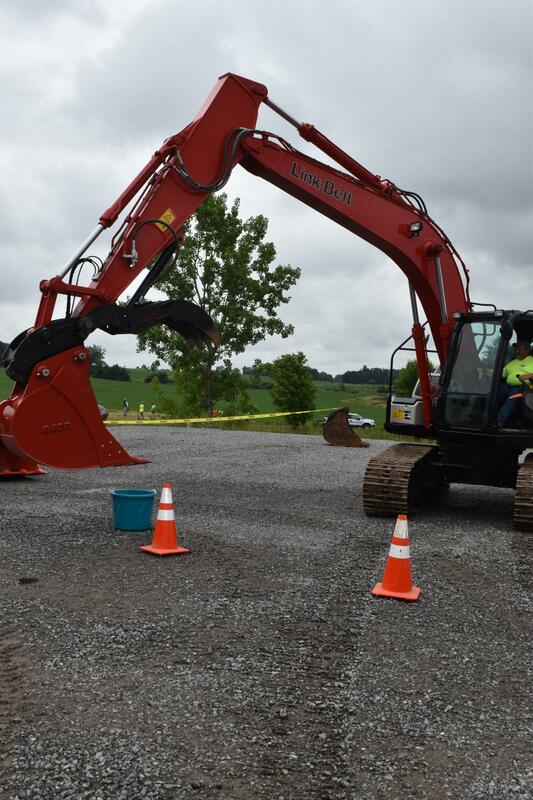 Putting the excavator through its paces is Jordan Porcelli with the town of Groveland. 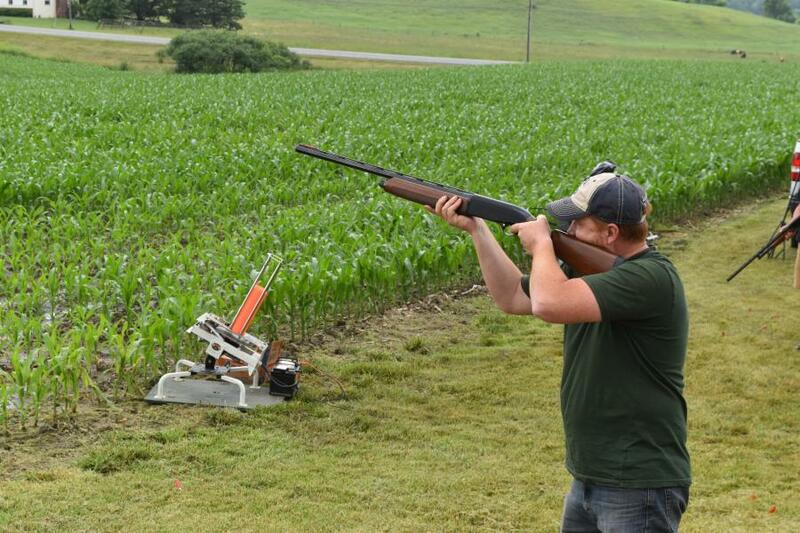 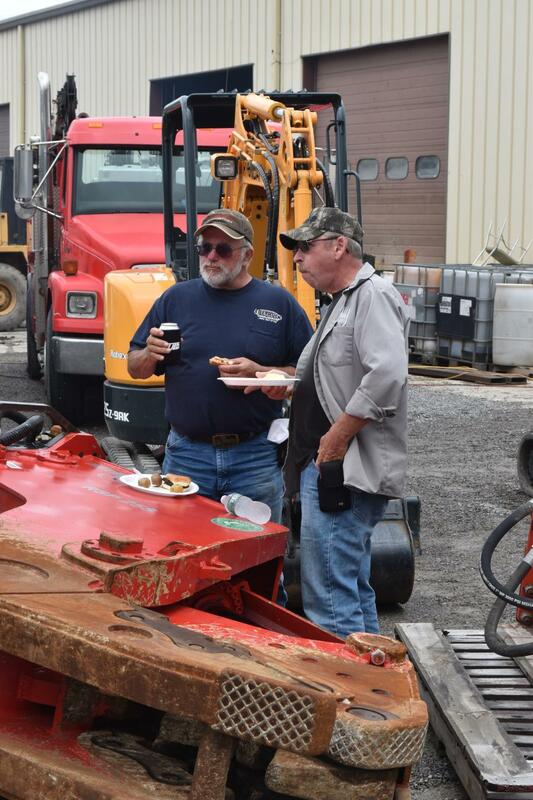 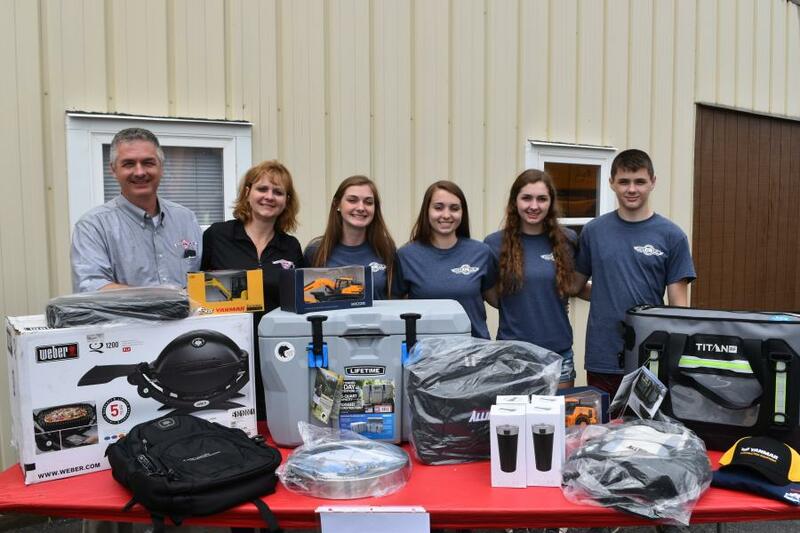 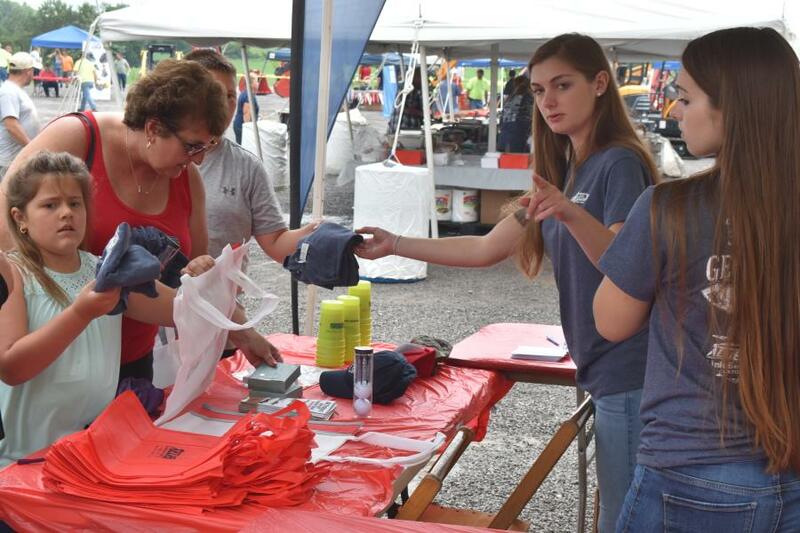 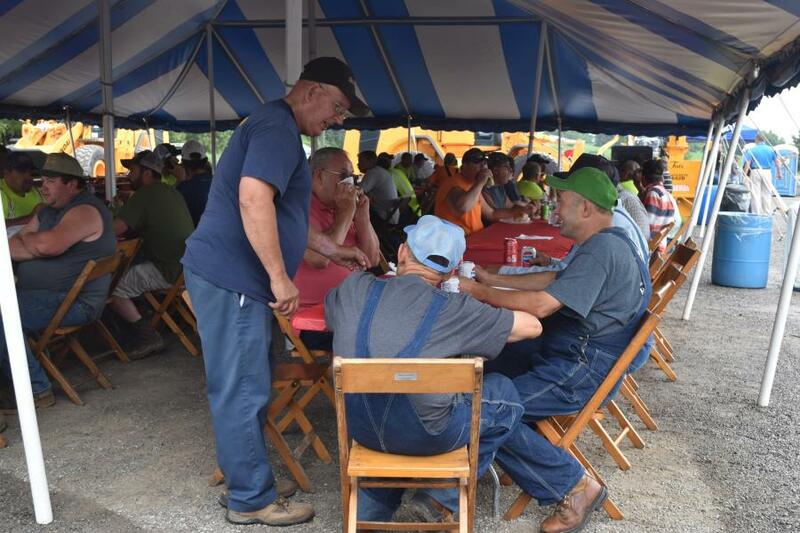 On June 28, George & Swede held its annual open house and customer appreciation day. 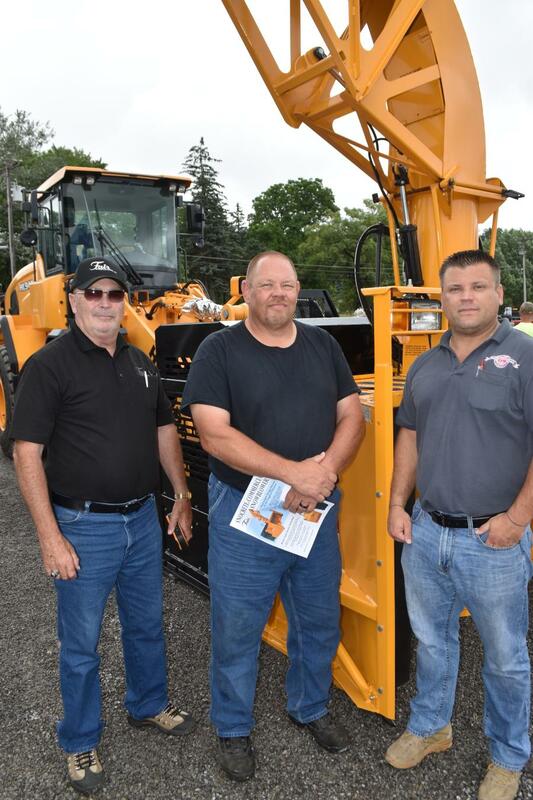 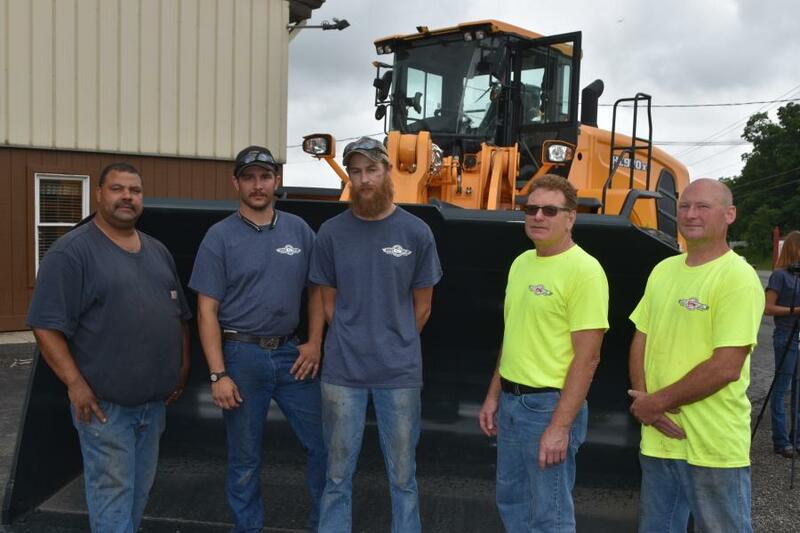 This western New York long-standing summer tradition always draws a huge crowd of local farmers, contractors and municipalities who have been going to George & Swede and the Newell family to satisfy their equipment needs for many years. 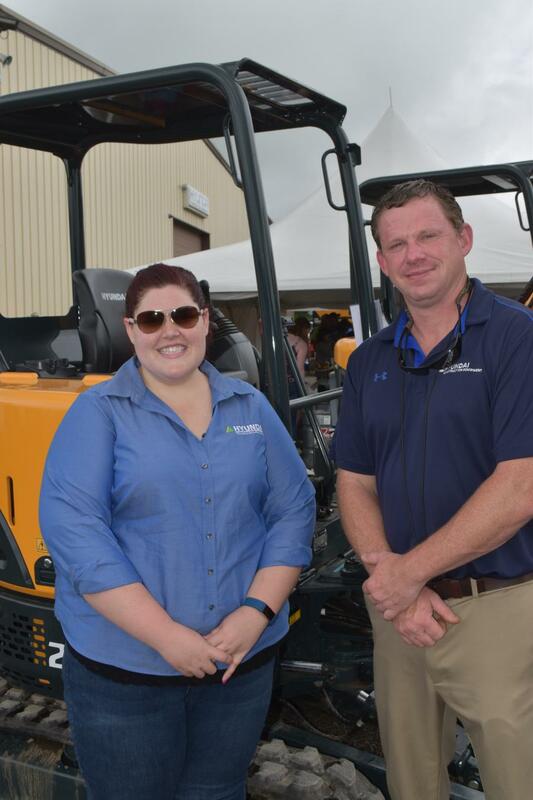 Construction and agricultural equipment available from George & Swede includes Hyundai loader and excavators; Link-Belt excavators; Yanmar compact equipment; Interstate and Towmaster trailers; Allied hydraulic attachments; Rototilt hydraulic rotating coupling systems; Harder dump boxes; Smith sand and salt spreaders; Bomag compaction; Dieci rough terrain forklifts; Laymor sweepers; and a wide variety of attachments to expand the uses of nearly all the equipment they sell.